I was looking for something new to make as a bread side dish for dinner when I stumbled across this amazingly easy recipe over at Lauren's Latest blog. 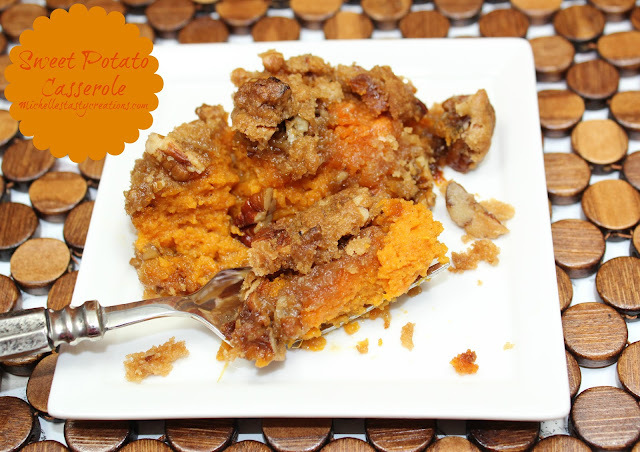 She has a great assortment of delicious recipes and this one was perfect for what I needed. I decided to try them after school and the kids gobbled them up so fast that I ended up making a second batch for dinner! 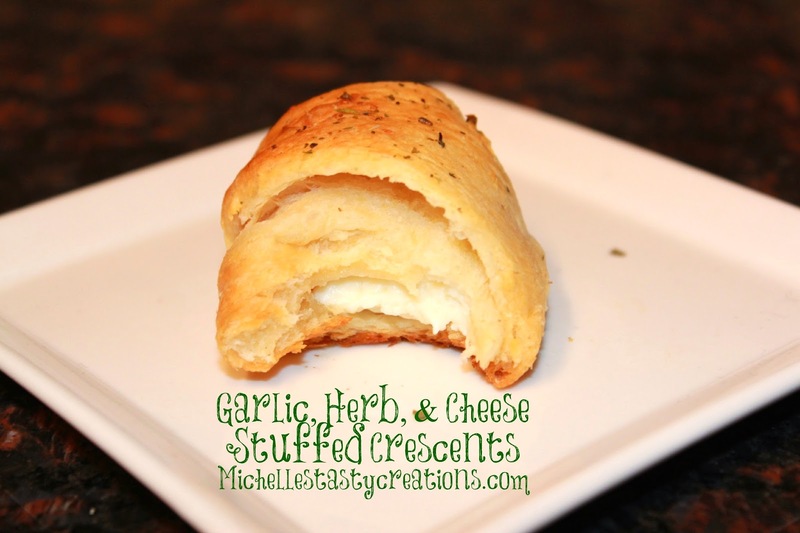 If you need a quick and easy recipe for bread for dinner I suggest you give these Garlic, Herb, & Cheese Stuffed Crescents a try and your family will love them too! 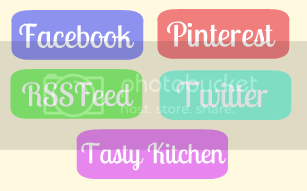 Preheat oven to 375 degrees and line a baking sheet with parchment. Set aside. In a small bowl mix the butter, Italian Seasoning, and garlic. Place in microwave and melt; about 20-30 seconds. Separate the crescent rolls into triangles on the parchment lined baking tray. Brush the inside with the butter mixture and place a half piece of string cheese on the longest edge. Roll up by first folding over the edges across the cheese and then rolling just like if you were just making crescent rolls. Brush the outsides with more herb garlic butter and bake for 10-12 minutes or until golden brown.